10th May 2015 – European Indoor 60m silver medallist Dina Asher-Smith (GBR) opened her outdoor campaign in fine style as she was able to turn the tables and defeat the athlete that beat her in those championships, Dafne Schippers, on the streets of Manchester. Running on the specially constructed track along Deansgate over the unusual distance of 150m Dina flew out of the blocks and was never headed. Dina also kept her form better over the final 30m to take the victory in 16.82 seconds. To complete a perfect day she then teamed up with Chijindu Ujah in the straight 2 x 100m relay to again take victory in 20.30 seconds. Chris Tomlinson (GBR) finished fourth in the mens long jump. PACE athletes were also competing around the globe. At the Oregon Twilight Meeting two time World Championships 1500m medallist Matthew Centrowitz (USA) won the 800m in 1:48.46. Former World Junior Bronze Medallist Nancy Chepkwemoi (KEN) won the 1500m at the Athletics Kenya meet in Kisii in 4:14.6. 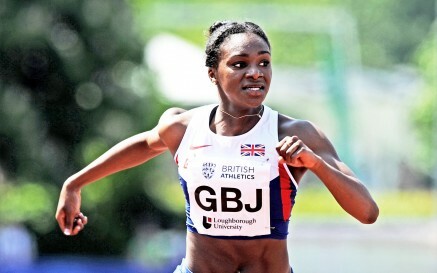 At the IAAF World Challenge in Kingston, Schillonie Calvert (JAM) was sixth in the 100m.